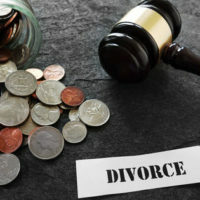 Spousal support (also sometimes referred to as “alimony” or “spousal maintenance”) involves payments made by one spouse to another after a divorce. These payments are made by the ex-spouse who is deemed to be financially stronger, whether that be the ex-wife or the ex-husband, so long as that spouse has the ability to pay and the other spouse has a need for alimony. Alimony awards in Florida can be a bit confusing, therefore, some commonly asked questions about spousal support are answered below according to Florida law. Q: Why do courts award spousal support? A: Historically courts ordered breadwinning ex-husbands to pay spousal support to their homemaker ex-wives so that the ex-wives would not be left without income after getting divorced. However, today things are a bit different. Now courts award spousal support when one spouse has substantially more income, and the other spouse has a need for alimony. Q: What factors do judges in Florida take into account when determining how much alimony to award in a divorce case? Q: What are the different types of spousal support that are available in Florida? Q: Can spousal support awards be modified in Florida? A: Generally speaking, a spousal support award can be modified in Florida if either spouse has experienced a material change in financial circumstances, unless the award is specifically classified as “non-modifiable”. However, it is important to note that this rule of thumb does not always hold true. For example, bridge-the-gap alimony awards can never be modified and durational alimony awards have certain limitations on modifiability. If you have questions or concerns about spousal support in Florida, contact experienced family law and divorce attorney David L. Hirschberg. Here at the Law Offices of David Hirschberg, P.A. we are committed to helping our clients secure favorable spousal support awards as painlessly and efficiently as possible. To schedule a confidential consultation at our Boca Raton office call us today at (561) 288-8620.